We’d do anything to be part of a group text with these two. Ariana Grande texted Millie Bobby Brown about her dress at the Golden Globes, and to say she was a fan of Brown’s look is an understatement. Like the majority of those who attended the awards show last night, Brown wore black in honor of the Time’s Up movement against sexual harassment. 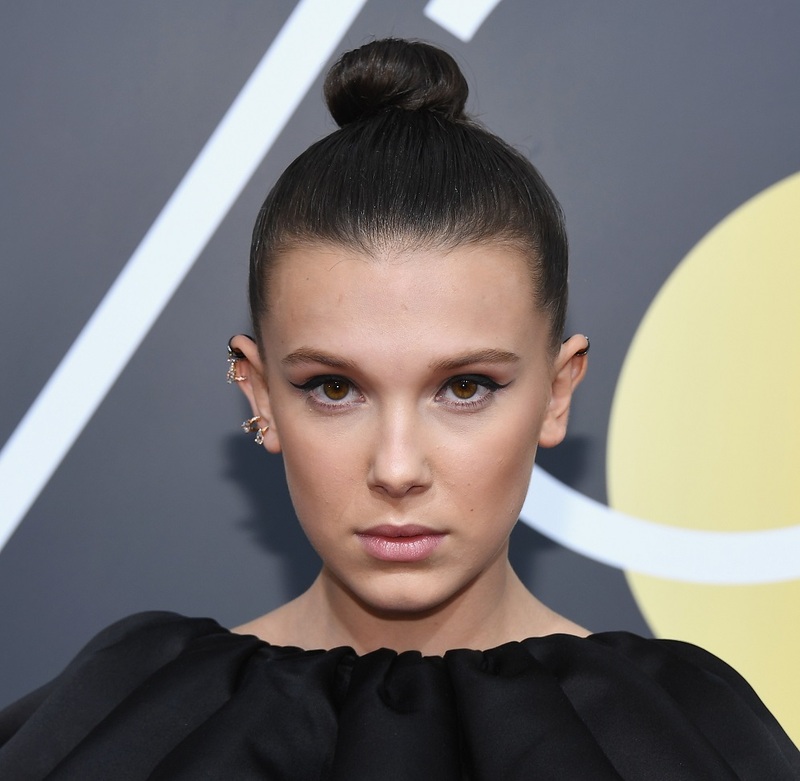 According to Teen Vogue, Brown’s ruffled dress was a Calvin Klein By Appointment piece, and we agree that it was the perfect choice for the Stranger Things star. She completed her Golden Globes look with a braided topknot. Brown, who has Grande in her phone as “A grande,” didn’t even get a word in — but that’s one of the reasons why we love it so much. Grande can’t help but bombard Brown with praise over her ensemble. A few of her texts consist of one powerful word. “Proud,” “Gorgeous,” and “Stunning” are all included. Reading these, we can just imagine what Grande’s reaction would have been like had she helped Brown get ready for the big event. And even more fitting, it’s the perfect display of women supporting other women. In case you didn’t get a chance to see it, here’s the dress that blew Grande away. 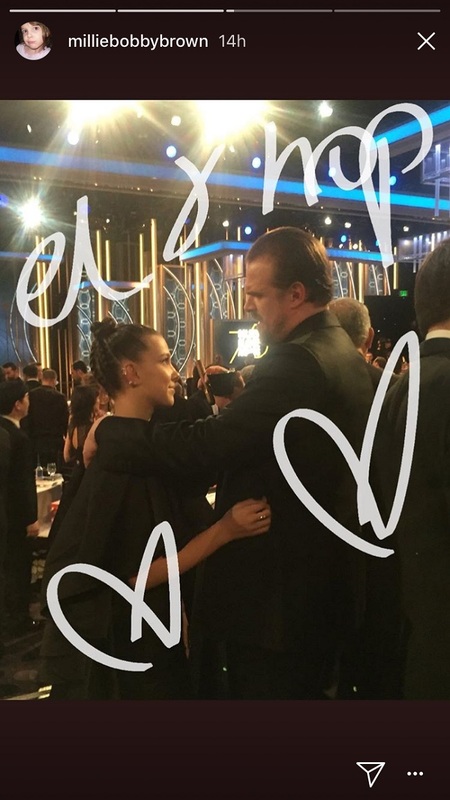 Brown also included this special photo of herself and co-star David Harbour, who was nominated in the Best Supporting Actor category, on Instagram Stories last night. For those of you who caught the second season of Stranger Things, you’ll know why this photo is extra special. As for Brown, we’re so glad that she decided to share the message of support from her friend. It’s good to know that Grande is the perfect person to contact for an extra boost of confidence!